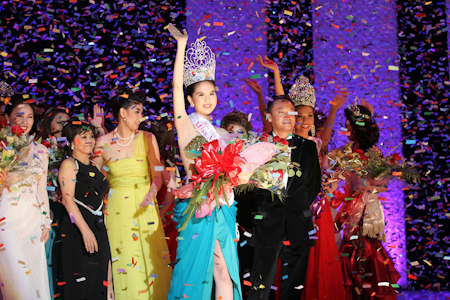 Ngoc Trinh was crowned Miss Vietnam International 2011 at the Carpenter Performing – Long Beach, California, USA on August 13, 2011. Ngoc Trinh is 22 year old and stands 1.72. She is a professional model, working for Venus. She also won the two fast- tracks: Best in Swimsuit and Miss Asia. She also won the two fast- tracks: Best in Swimsuit and Miss Asia. The first runner-up was Tra Ngoc Hang. 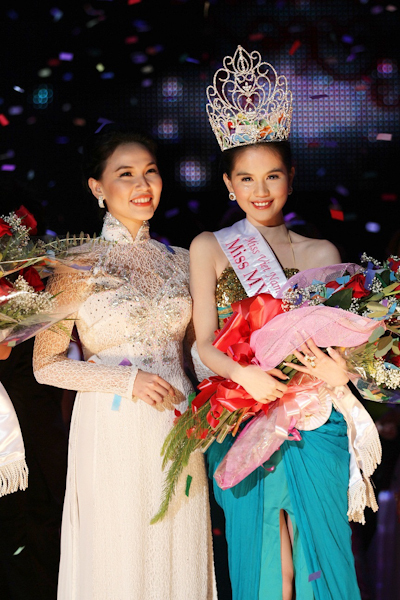 And Nhu Thao won the Promising Model and Best in Performing Style titles.